… is a solution that is hosted outwit your own offices, while on-premises is a solution that is hosted completely on a server that is kept in your offices. Adoption of software on the Cloud is accelerating and many organizations are realizing the transformative benefits. Therefore, choosing between on-the-cloud and on-premises is a common challenge nowadays. Forrester Research reports that 50% of all organizations are interested in Cloud deployment. According to Gartner, 50% of the IT Service Management (ITSM) software market will embraced Cloud by 2015. The goal of this post is to highlight key information to help you understand and choose between on Premises and on the Cloud. The 3DEXPERIENCE® platform is a business experience platform providing software solutions for every organization in your company – from marketing to sales to engineering. It is a unified collaborative platform to manage all project information. On this platform, we deliver dedicated 3D Experiences for Marine, Offshore & Subsea offering an integrated set of multi-discipline engineering applications, from design to manufacturing. 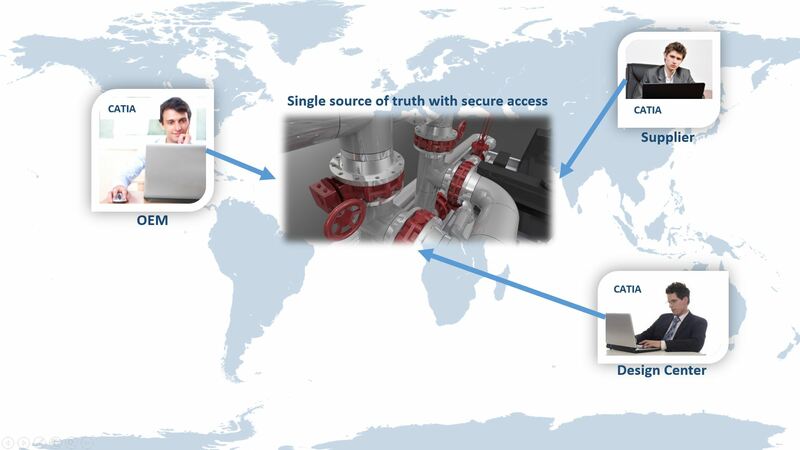 With this solution, you connect with your 3DExperience applications to one unique source of truth: one server running on-premises or on the Cloud. It allows you to access the right information, real time 24 / 7. Design of complex products requires multiple engineers working on the same product. 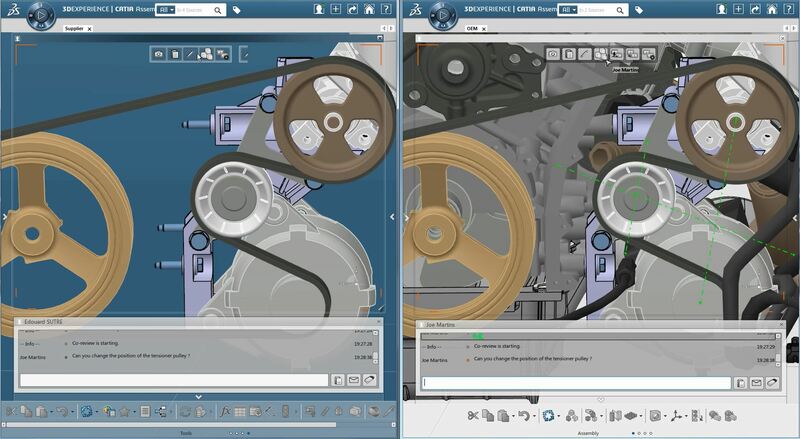 Because all users are connected online to the same single database (on the cloud or on-premises), the 3DEXPERIENCE® platform can manage concurrent engineering and collaboration with dedicated intuitive and efficient tools. 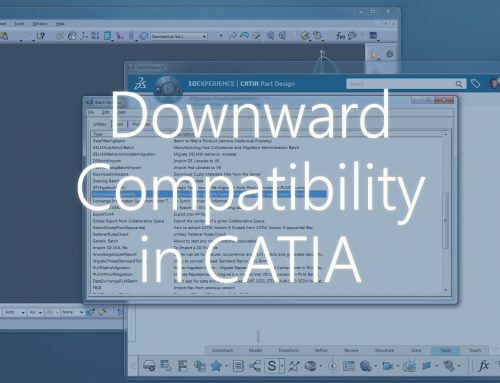 3DExperience applications like CATIA for engineering, allows multiple engineers to modify the shape and position of different components simultaneously within the same assembly. 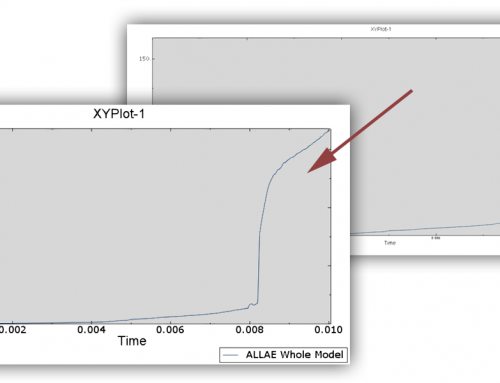 This is only possible since assemblies are exposed in the database so different users can concurrently work on the same assembly. 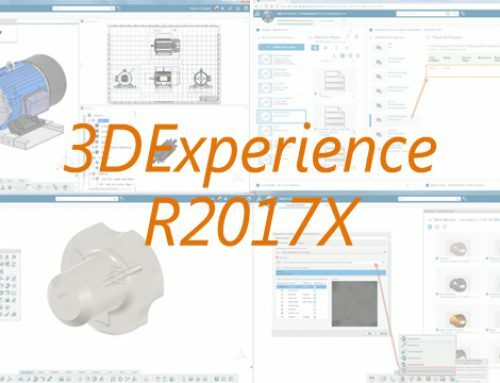 Designers could be in the same office or in totally different locations using 3DExperience applications over the internet for a true concurrent design experience. This results in achieving design maturity much faster. With 3DExperiences on the Cloud, it transforms how you use and pay for your design software. The Cloud removes the need for upfront hardware investment and setup costs. 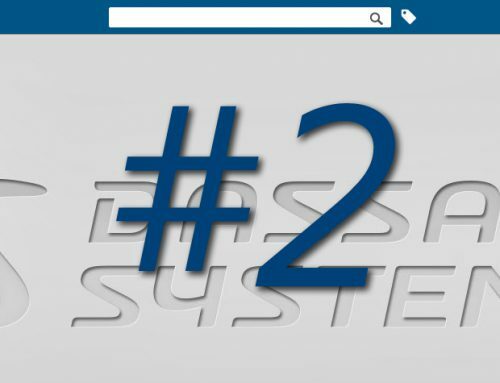 In minutes, your projects can be innovating with the world’s leading product design experience, while Dassault Systèmes takes care of the system and data. Based on my experience, users are up and running only 5′ to 20′ after receiving the invitation email, according to their network speed. No need for specialized IT administrators or sub-contractors. Engineers can concentrate on engineering. Project structure is delivered “out of the box” and can be easily administered by non specialists. Software updates put a major burden on your IT staff. With the cloud, updates happen regularly and automatically, requiring little attention from IT. If you want the flexibility to customize your PLM (Product Lifecycle Management) environment, and setup advanced processes, you may prefer the on-premise solution. Using 3D as a media, you can run the review in 3D with the customer, from your office, from his office or anywhere thanks to the online connection. With the power of 3D, they can speak the same language, even if they don’t have the same background, then see & understand immediately what the project is about. Users can also take advantage of the collaboration tools provided by the platform. 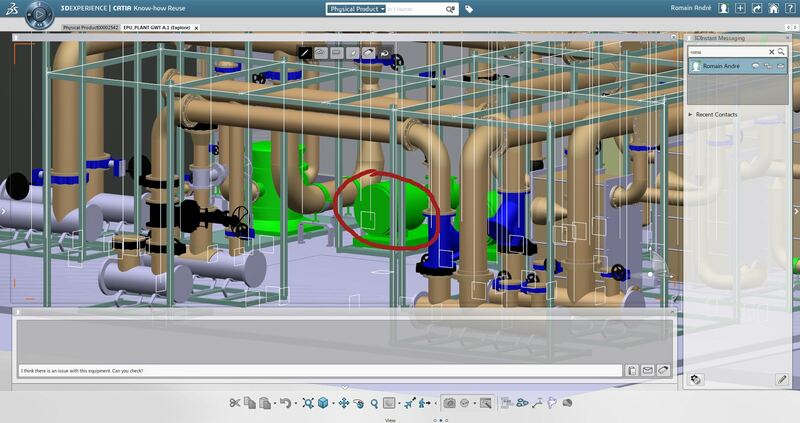 The co-review for example allow the users to share the same 3D context. There is no data export or transfer, the same session is automatically rebuilt in the sessions of each collaborators attending the co-review session. Users can then collaborate, co-design, annotate. It enables to save time and to avoid the duplication of the information. Concurrent engineering is also automatically managed by the platform, so many users can work on the same assembly without any problem of overwriting the job of the other. 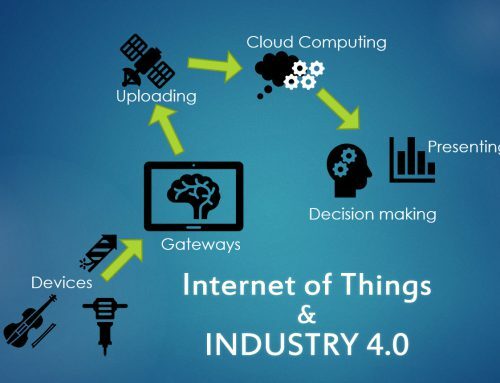 The system will manage the synchronization, and can give information on the ongoing modifications and users connected at anytime, allowing parallel tasking. The collaboration is the benefit of having a Single PLM platform. Finally, something that might sway your decision is if you have a need to access the solution from outside your office. If you’d like to be able to have access even if you’re on holiday, with a Cloud solution all you need is an internet connection of some description. If you would never have any need of accessing your solution while not on-site, an on-premises solution might be a better fit for your business. Cloud solution could offer more flexibility on how you want to manage and control the cost of the solution. Only pay for exactly the computing capacity you use. Cloud transforms computing into a utility, shifting it from a massive upfront Capital Expense to an ongoing Operating Expense. Never again worry about losing your data or about unauthorized access to your intellectual property. 24×7 IT Support & system availability, combined with daily backups mean you can always meet your deadlines. 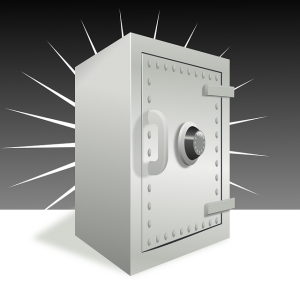 Because cloud providers support hundreds of businesses, they should be able to afford better security than any one business can, just as a bank vault provides better security than a home safe. Dassault Systèmes has put security at the heart of the online business experience platform development and deployment in order to ensure several well-controlled layers of security, with a particular emphasis on Security in Depth. More details available here. Some users are sharing their experiences here.